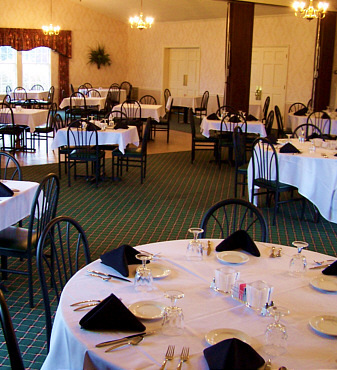 Martini's Restaurant & Lounge Ashtabula offers special event catering and private banquet rooms. The Martini's Restaurant & Lounge offers excellent facilities for your wedding reception, class reunion, business meeting, tournament, party or whatever! We serve plated dinners or, if you prefer, we will setup a self-serve buffet. Full bar service is available within your private area. We welcome groups from 25 to 175. For groups of fewer than 25 there is an additional room charge. Need a dance floor for your special event? We can do that. With a dance floor We can accomodate 125 guests.